Monsters, magic and the supernatural combine in this epic debut where a young woman must defeat the evil hiding beneath the surface. Nettie Lonesome dreams of a better life than toiling as a slave in the sandy desert. But late one night, a stranger attacks her — and Nettie wins more than the fight. Now she’s got everything she ever wanted: friends, a good horse, and a better gun. But if she can’t kill the thing haunting her nightmares and stealing children across the prairie, she’ll lose it all — and never find out what happened to her real family. The Shadow will begin a journey that leads her to the darkest chambers of the heart — if only she can survive. 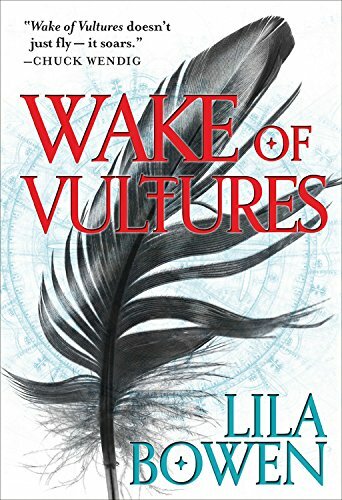 Wake of Vultures is the first novel of the Shadow series and introduces Nettie Lonesome, who is much more than she seems.